All of this potential came into doubt on June 23, 2016, when 51.9 percent of those who voted in the U.K. chose to leave the EU. Geim describes himself as a Euro-skeptic. Yet he watched the results of Brexit trickle in with a sense of gathering dismay (“At about 4 a.m. it became clear that the Remainers were likely to lose,” he told me. “I went to bed acknowledging the human species were not very smart animals.”). Geim’s response was typical of that of many scientists, for whom freedom of movement and cross-border partnerships are indispensable. 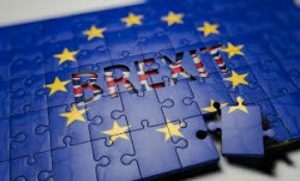 A Brexit survey run in March by Nature found that of the 907 U.K. researchers who were polled, around 83 percent believed the U.K. should remain in the EU. Paul Drayson, former minister of science in the Department for Business, told Scientific American: “The very idea that a country would voluntarily withdraw from Europe seems anathema to scientists.” In Geim’s case, he and most of his engineers are not British by birth. Indian and Chinese nationalities dominate, followed by Russians, Ukrainians, Italians, Spanish and Polish. All of his funding comes from the EU. The Brexit result has cast thick doubt about how money and people will flow to and from the U.K. These scientists really see Brexit as a thorn in their sides aside from being completely irrational. The UK will lose a lot of support from its neighboring countries that are also members of the EU once this departure is officially in place. After all, many of the notable scientific breakthroughs and discoveries in history that took place in the UK wouldn’t all be possible without these scientists collaborating with their nearby peers and we are not just talking about funding but human connections (referring to brilliant minds here). The recommendations include ensuring those in the education, culture and science sectors and young people involved in exchanges remain able to move easily between the UK and other EU countries, possibly in the form of a simple, cheap and easy to obtain culture and education permit. They also want continued UK participation in and contribution to multilateral programmes such as Erasmus+, Horizon 2020, Marie Sklodowska-Curie Actions and Creative Europe and say that engaging young people in future policy making and offering every young person in the UK and other European countries the opportunity of an inter-cultural and international experience, through areas such as study, work, performance, research, language learning or exchanges would also be beneficial. The entire Europe is in agreement as to maintaining close collaborative ties with one another and they hope it won’t end once Brexit becomes official. Scientists are hoping that the politicians shaping the country won’t put their personal interests first and consider the implications of their decisions in the grand scheme of things especially when it involves scientific innovations that scientists are passionate about and devote almost their entire life in doing so. There have been numerous problems involving the scientific community that even led to the infamous “March for Science” that took place in 600 major cities in the whole world (not just in Europe) as both a public and private initiative of individuals who are concerned about the diminishing standards of the global scientific community.